When I wrote the first version of my resume, it was a struggle to fill the page. (How much can you really write about babysitting and high school activities? I used a large font, and the resume had white space galore.) Your experience — maybe writing a resume for a summer job, an internship in college, or your very first full-time job — may have been similar. But a lot has changed since you (and I) wrote our first resumes: Now, in the middle of your career, you likely have plenty of experience and accomplishments. Fortunately, once you hit mid-career, you no longer have to restrict your resume to a single page. (Here is more information on how long a resume can be.) Some resume best practices may have shifted, too, since your first resume. What makes sense for an entry-level resume does not necessarily hold true for a mid-career resume. Here is a round up of things that you can — and should – cut from a mid-career resume. 1. Your First Job: It's possible your first job was the perfect launching pad for your career, still relevant all these years later. But for many of us, knowing the boss's coffee order, booking meeting rooms, and answering phones made up the day-to-day. Important stuff, and great training for office life, but not exactly what's going to grab hiring managers' attention for mid-career positions. Here's a good rule of thumb: If the work you did at your first job is in a different industry or doesn't relate to the work you want to do now, you can probably cut that job from your resume. Don't keep it on for nostalgia's sake—resume real estate is at a premium, so cut your first job (and any other positions) that don't further your career goals. See more of what not to include in a resume. 2. Obvious Skills: Does your resume skills section list your proficiency in Microsoft Office or your ability to use basic email programs? There's probably no need to include these gimme resume skills, which nearly every high school graduate possesses. Whether through networking, careful research, or LinkedIn connections, mid-career applicants often skip the job application step that involves having a resume scanned by a machine for keywords. When you're applying for jobs directly — that is, sending your resume to someone's email — use a version of your resume that lists only significant or surprising skills. 3. A List of Your Responsibilities: Early in your career, it makes sense for your resume descriptions to be a laundry list of tasks. At the bottom of the totem pole, with several managers above you, your ability to do things is your most important asset. As you rise in your career though, showing leadership with ideas, people, and projects is more important. 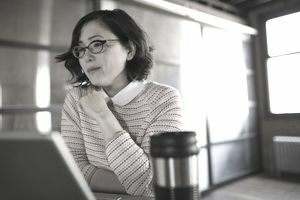 A strong mid-career resume will lead with accomplishments: rather than "Presented on topic XYZ," a mid-career resume may say "Led training efforts on topic XYZ, ensuring a successful switch to the new operating system." See how to make your resume stand out from the crowd. 4. Irrelevant Info: It's tempting to include everything in your resume. Why leave something out? Well, a lot of details can make it overwhelming to readers. Hiring mangers and interviewers may be left unsure of your true talents—or might miss a skill that's relevant to the position because it's drowned out by a zillion other bullet points. Quantity doesn't always win. A strong mid-career resume will be calibrated to match the job you want; instead of including every career twist and turn, and listing every skill and task completed, focus on work experience and skills that relate to the job you want. It can feel brutal to trim down your history this way—perhaps in the same way that it can feel sad to remove your first jobs from your resume—but it helps to make your work history as clear as possible for interviewers to follow. 5. Putting Education Front-and-Center: Once you've worked several years, your education becomes a less important signifier. Work experience is more meaningful than school, and is the best way to demonstrate that you have the knowledge and expertise to succeed in your field. If you haven't already, you can move the education section from the top-most section of your resume all the way to the bottom. Tip: You can also remove your graduation year now that you're no longer a recent grad. 6. Weak Words: If you're using words like "responsible for" or "coordinated," consider getting out a red pen. Since there isn't much space on your resume, you want every word to pack a punch. Use this list of action verbs and powerful words to help showcase accomplishments with strong, engaging language. 7. A Goofy Email Address: If you're still holding on to an AOL email address or any email address that isn't based on your name, consider getting a new one. You may want to have a funny email address for communications with your friends, but it's not appropriate in a professional setting. Here is more information about what to include in the contact section of a resume. Remember to use a personal email address, and not one associated with your current place of employment.